Getting a paid internship over the summer is the dream of many college students, but it doesn’t have to be just a dream if you take the right approach, engage in some networking, and start your search early. Speak with academic advisors, school career counselors, and professors to discover which companies in your target industry offer worthwhile internships where you'll receive real, value-added experience. Some of the best internship experiences come as a result of prospecting. This means identifying companies or organizations that you want to work for and contacting them directly which can result in some of the best internships around for a number of reasons. By identifying companies that don't actually advertise their internships, you will avoid competing with thousands of other applicants who also found the internship listing online. Even with prospecting, there's no guarantee that students will be able to land a paid internship. Employers have seen a significant rise in the number of students seeking internships. Part of this increase is due to the fact that more students are realizing that employers are looking for students with relevant experience required to hire on for future full-time jobs. Another reason a number of seniors (and post-graduates) are also interested in finding an internship is that they currently cannot find a job in their area of interest. In 2018, over 40 percent of new graduates took entry-level jobs that didn't require a college degree, and one out of five students are still working non-degree-requiring jobs 10 years later. This has to do with employer requirements and the lack of knowledge and skills of recent college graduates. Employers have become increasingly demanding, and expect college graduates to come on board with specific skill sets and experience that they acquired during internships or through other means. If you're looking for an internship that pays well, you'll have the best luck with companies in the technology industry. In 2017, Facebook and Microsoft paid $8,000 and $7,100 per month, respectively, according to a Glassdoor survey. Other companies that pay well include large companies such as ExxonMobil, Amazon, Salesforce, Apple, and AIG. You can also pay a fee to participate in an internship program that includes an interview and resume coaching, guaranteed placement, and a choice of domestic or international locations. Some of these internship programs also offer excellent salaries but the upfront fees are often expensive and required in order to participate in the program. 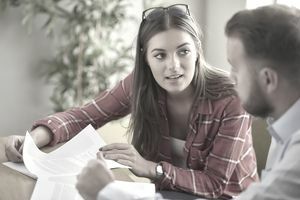 In general, it pays to be wary of programs with fees, but for the right student who can afford to pay a fee for their internship, some excellent opportunities exist in specific industries and career fields, and you can find them through companies that match you with internship opportunities based on certain characteristics. The fee you pay is considered a sort of tuition, and the program resembles a semester-abroad type of program. Choose the city and industry in which you want to have your internship, and the company guarantees placement in a top-quality internship. The Institute for the International Education of Students (IES Abroad) has been around for over 60 years, bringing its first group of students to study abroad in Vienna, Austria in 1950. Today, the company offers internships abroad for full-time summer placement, full-time semester internships or part-time programs. While these internships come with a guaranteed placement in your industry of interest, they are non-paid. Some programs may be eligible for financial aid or scholarships to cover the costs of program fees, room and board. Dream Careers was founded in February 2000 to help students enhance their academic experience by offering competitive internships at both college and high school levels. The company operates in 11 cities across the globe, working with about 5,000 different employers, and has served more than 17,000 students looking to develop their career ambitions. Another similar company is The Washington Center for Internships, which is an independent, non-profit organization that provides immersive internships and seminars to college-level students and young professionals. The company operates in the U.S. and has offices in 25 other countries. It helps students find internships in public, private and non-profit sectors, in a wide variety of fields including law, medicine, journalism, business, and politics among others. Network with family, friends, acquaintances, previous employers, faculty, and your college’s alumni to seek out people who are currently doing the type of work you want to do. You never know who your parents know until you ask, or if you have well-connected neighbors in your target industry. Research organizations so you can include that information in your cover letter or introduction email as you reach out to employers through websites or when prospecting for internships online.